Trying to decide what to do with your old vehicle can be a hard decision. You have many options: selling, trading, or donating it. We may be partial to the program, but here are a few of the many benefits to donating your car. 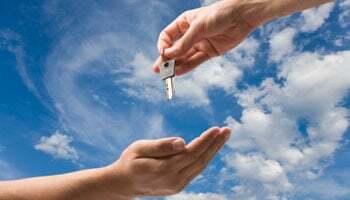 With car donation, all of the hassle that is typically associated with getting rid of an unwanted vehicle is handled for you. No paying for and posting listings. No dealing with set up times for potential buyers to view the car. No haggling or price wars. All you have to do is pick up the phone or fill out an online form and set up a pick-up time for the tow company. You do not even have to be home when the pick-up happens! It is just that simple. Once you decide to donate, you can have your vehicle, boat, plane, (anything with a motor), picked up within one or two days! You can write off the donation in the next tax season for the value your car sold for or $500.00, whichever is greater. Visit our Tax Answers page for answers to all of your tax questions. With each donation we receive, we make sure that the vehicle stays local by benefiting your community’s Make-A-Wish chapter. By donating your vehicle, you can enjoy the pride of knowing you helped grant a wish to a child in your city who was diagnosed with a critical illness. Once your vehicle has been donated, you can bask in the joy of knocking that pesky ‘to-do’ off your list and making extra room in your garage or driveway. No longer will you have to pass the old clunker taking up space and feel dread. Instead, enjoy a simpler, less ‘junky’ life!